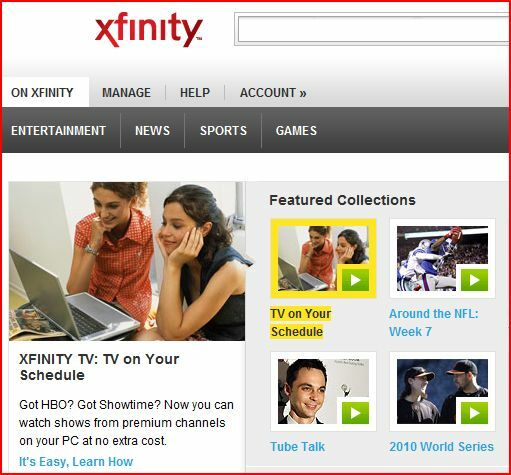 Overworked and underappreciated Dads everywhere should celebrate today’s launch of Xfinity TV as a national holiday. I’m serious. For the first time in years, we are finally able to reclaim what is rightfully ours—the Comcast digital video recorder. Before I go further, let me, ahem, pause live action and give you a little background on my personal DVR story. When Comcast introduced the DVR a few years ago, I cried tears of joy. Not only could I record every stage of the Tour de France, but I could replay favorite movie and television scenes to the amusement of friends and family. I could record every episode of Mad Men. I felt all powerful, like I could part the technological red sea with the touch of a button. However, the fun was fleeting. My wife and teenage daughter quickly discovered the convenience of watching their favorite programs on their own time. While I worked or was on business trips, they were pushing the record button. My daughter was notorious for hitting the “record series” function. Do you know how many times That 70’s Show runs in a given week? I do. It’s a lot. In a matter of weeks, the memory of our DVR was packed with episodes of One Tree Hill, Gossip Girl, General Hospital, The Hills and Oprah. My wife even saved The Notebook in high definition, no less. It sat there on the DVR for more than two years, a constant reminder that even though I was the King, I had no control over my castle. Fast forward to today’s announcement: with the launch of Xfinity TV, I don’t have to be home to record my favorite programs. The “My TV” function allows me to control my DVR remotely. I can sit at the office and cancel the “series record” feature for That 70s Show. I can sit at an airport with my lap top and tell Oprah and Dr. Phil “bye bye” and use the space they’ve left behind to record The Seahawks game in HD. I can even make recording changes while watching my daughter’s soccer games, using my iPhone. It’s a a new day in the Kipp household—long live the King! Of course, my wife may change the locks on our house, after I delete The Notebook. But at least I will be able to watch Mad Men on my lap top from my motel room with Xfinity TV.